Coleg Cambria has received the highest possible accolade from Estyn, achieving the highest inspection grades of any college in Wales for its Further Education provision. The college, which has campuses in Wrexham, Deeside, Llysfasi and Northop received the ‘Excellent’ accolade from Estyn following a rigorous inspection carried out by Estyn over the course of two weeks in November 2015. 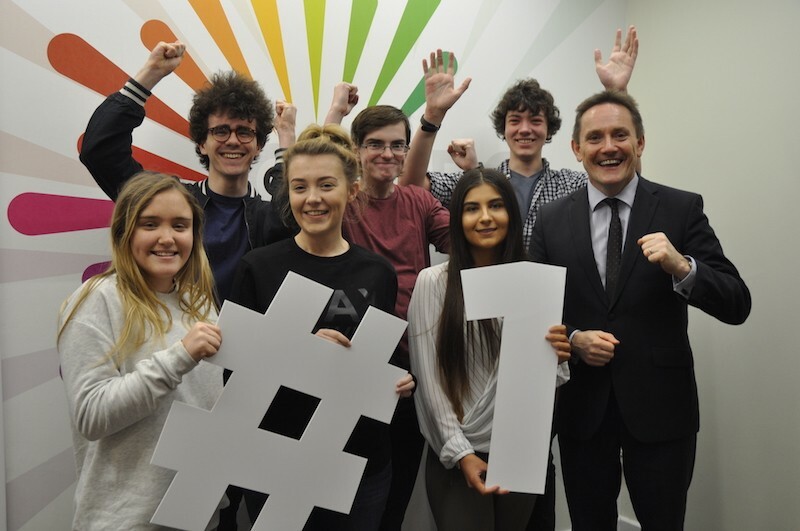 In their final report published today, Estyn judged Coleg Cambria as “Excellent” for both its current provision and prospects for improvement, the top two overall judgements. Chair of the Governing Board, John Clutton, welcome the report which states that the principal and governing body provide the college with strong, clear and effective leadership, said: “On behalf of the Board of Governors of the college I would like to thank everyone who has played a part in delivering or supporting this success. Cambria is only just over two years old, but it is already achieving the ambitions we set out prior to merger”. In the report, inspectors say that learner behaviour around the college is ‘exemplary’ and that the college’s care, support and guidance package is sector leading. The report also states that success rates for substantial courses are excellent and place the college in the top quartile of all colleges in Wales. Inspectors also highlight the fact that the college has an exemplary strategy and highly effective practice to develop literacy and numeracy skills for learners. Deputy Minister for Skills and Technology, Julie James was among the first to congratulate the college, adding: “It is great to see that Coleg Cambria, which has embraced so many of the Welsh Government’s policy-led changes, is now performing outstandingly well. We congratulate the college on its achievements. “Cambria has led the way through its proactive participation in the areas of transformation and merger, tertiary developments with schools, wider standards raising initiatives and in developing a new Welsh language centre in Wrexham”. The college’s strategic partnerships at local, regional, national and industrial level, which enhance the curriculum offer for learners are also deemed ‘excellent’ by inspectors. Coleg Cambria, is one of the UK’s largest colleges, with over 6,500 full-time and 15,000 part-time students and has international links covering four continents. The college was established in August 2013 as a result of the merger of Deeside College and Yale College and has six sites serving three local authority areas: Flintshire, Wrexham and Denbighshire. The Estyn report highlights that in a very short space of time the new college has established an exceptionally positive ethos and culture that is evident across all campuses.